Jesse Eisenberg channels his inner Jimmy Stewart in THE DOUBLE – or possibly his Kieslowski? Richard Ayoade is a fascinating actor/writer/director. He is in some ways terribly English but also ‘international’ as someone with Norwegian and Nigerian parents deserves to be. The IT Crowd is the only half-hour sitcom I’ve followed in recent years and he was an integral part of it. His first film directing project was Submarine (2010), a successful comedy-drama adapted from a novel by Joe Dunthorne but clearly nodding towards its range of cinematic influences. The same is true for The Double. Again it is an adaptation – loosely so this time. Ayoade accepted a commission to work with Avi Korine (Harmony’s brother) to adapt the 1846 novella of the same title by Fyodor Dostoyevsky. The original story involves a government clerk who has a form of mental breakdown in which he sees a second version of himself taken on as a new employee. In Ayoade’s adaptation the central character is Simon James and his double is James Simon. Jesse Eisenberg plays the two roles convincingly. No one else sees the new employee as a double – they seem to treat him as a completely new and different person. James is everything Simon is not – confident, articulate and instantly successful in developing relationships with everyone he meets. He’s also adept at stealing all Simon’s work and ideas. A direct confrontation is inevitable. Ayoade has assembled a star cast with numerous cameos by cast members from Submarine (Paddy Considine, Sally Hawkins, Noah Taylor, Yasmin Paige, Craig Roberts) plus comedy friends Chris O’Dowd and Chris Morris. Mia Wasikowska is the object of Simon’s romantic interest. Overall this is an American idea taken on by Ayoade and produced in the UK with a mainly UK cast and crew. Eisenberg and Wasikowska (plus Wallace Shawn and Cathy Moriarty) are there because they suit the roles but they will also help to sell the film in the US. The ‘fictional world’ that Ayoade creates is much less easily defined. Most of the film takes place at night or in the dark and depressing offices of a corporation run by ‘the Colonel’ (Edward Fox). Sets were constructed in a temporary studio space in London with a strong design idea utilising a subdued palette and low-key film noir lighting. This imagined world is timeless and without a specific geographical location. As with Submarine, the main problem in writing about the film is to get past all the influences. It’s appropriate for me that one key influence I noted was Orson Welles’ film of Kafka’s The Trial (1962) with Anthony Perkins. The East European sense of paranoia in the face of ‘officialdom’ fits the Dostoyevsky story very well. The Press Notes tell us that Ayoade gave The Trial to Eisenberg as preparation. I’ve seen other reviewers suggesting that Orwell’s 1984 is another influence and also Gilliam’s Brazil. At first I did struggle to get beyond these references in an attempt to engage with the narrative. That I did so and ultimately enjoyed the film is down I think to the excellent performances and Ayoade’s preparation and direction. I must mention the music which seems to riff on East Asian pop music as well as Andrew Hewitt’s original score. I hadn’t heard Suikiyaki by Kyu Sakimoto for a very long time before it popped up here. The look of the film is also down to Norwegian cinematographer Erik Wilson (who also shot Submarine) and production designer Andrew Crank. I’m thinking about using The Double with students, but I’m not sure yet how I’m going to approach it. It’s a brave film in many ways – challenging audiences, especially younger audiences, to accept something different. I don’t think it received all the support it needed to do well in cinemas. Some audiences won’t take to it, but others will and I’m sure that they will find it somehow. I’ve tagged the film as ‘Black British film’. I’ve not seen it described as such and I don’t know how Richard Ayoade might feel about the description but I think it’s something to explore. Here is a film that will take two or three viewings to properly place so I’ll just make some tentative comments here. I went into the screening with the knowledge that some reviewers had said that it was a surprisingly ‘conventional’ film to have come from the Turner prize-winning artist Steve McQueen. I’m not sure that McQueen’s previous two films were that ‘unconventional’ as specialised films and I found 12 Years a Slave to be similar. I think now that some of the critical reviews have taken the narrative to be poorly constructed as a drama – partly because we are told in the opening credits what happened to Solomon. If this was a reference to a ‘conventional’ film narrative that would make sense, but this isn’t a conventional narrative, instead it is an exploration of what slavery means presented in the guise of a biopic/personal journey. The most recognisable element of McQueen’s style is his patience in allowing scenes to extend with static or slow-moving pans/tracks (one of the reasons I need to see the film again is to focus on the camerawork). The new element here (in what is a longer film than the previous two) is the insertion of several images of landscape and skies. These are generally ‘beautiful’, representative of iconic images of the swamps, forests, fields and rivers of Louisiana. I’m not sure how they work in terms of the narrative but I kept thinking about the famous ‘pillow shots’ of Ozu (here’s one interpretation of what might be meant by a ‘pillow shot’). Apart from these landscape images, Sean Bobbit’s camera captures other compositions that in Barthesian terms are ‘symbolic’ – a musical instrument being smashed or a view across Washington with the Capitol being built as seen from a slaver’s ‘holding pen’. McQueen also represents the journey south from Washington simply by showing the water churned up by the paddles of a steamer – effective as a representation of the captured slave’s restricted view and also perhaps the emotional turbulence of capture. These individual images are memorable partly because the pacing of the narrative and the time spent over scenes allows the whole film to breathe. My viewing companion suggested that the long running time had just flown by. I wouldn’t say that because I was conscious of the time, I did reflect on the slow pace as the scenes unfurled and I realised how effective McQueen’s film was in getting me to understand what slavery actually meant in terms of the psychological as well as physical terror that it created. I was never bored, always engaged. I felt that ‘moment’ of understanding and by the end of the narrative the tears were flowing freely. I should also say that I had to shut my eyes for some of the scenes of flogging, disturbed by the violence, the tearing of flesh and by the mixture of guilt, terror, love and eroticism in the climactic flogging. The key to the ‘conventionality’ of the film is perhaps the fact that this is a film based on a true story as told to a journalist by the central character Solomon Northup played so well by Chiwetel Ejiofor. I’ve read several interesting pieces on the film including those by Jonathan Romney in Sight and Sound and Thomas Doherty in Cineaste alongside interviews with Steve McQueen and the film’s historical adviser Henry Louis Gates. I gather from these sources that Northup’s account is very accurate and supported by the historical records even if the voice in the original published story belongs to a journalist. I mention this because the story is a different narrative to those that were popular in the North in the years before the Civil War. Most such stories were about slaves who escaped and made the journey northwards. Northup instead was kidnapped and taken to the South. He experienced slavery as someone who had been free all his life until that point. We should as audiences today be able to identify with Northup at the point of his capture. It’s then McQueen’s task to use what happens to Northup to tell us as much as he can about what slavery meant and how it destroyed the humanity of all those involved. Perhaps because of the unusual narrative, McQueen ‘makes strange’ the early scenes in which the narrative switches backwards and forwards in time, seemingly arbitrarily. The film opens with Northup as one of a group of slaves being instructed on how to cut cane for what turns out to be the fourth ‘owner’ he is assigned to. My confusion in these early scenes means that I can’t easily remember the transition between flashforwards and flashbacks. There are probably different ways to read this series of time-jumps. Possibly what is being represented is Northup’s memories of how he got into this situation. What the disjointed narrative suggests is that slaves were not people as such but commodities moved between owners like livestock. These time jumps are mostly early in the film before the narrative settles into the longer stretches of routine and they must make the film more difficult for audiences used to more direct Hollywood openings. The ending of the film is much more conventional – but it is a true story and Northup was ‘rescued’ and did return home. However, there are titles at the end which say a little more about what happened in the years that followed his return – don’t miss these! 12 Years a Slave offers something akin to ‘event cinema’ in the sense that it is almost as interesting and important to reflect on what audiences are saying about the film as it is to analyse the film itself. This can only increase with the focus on Awards ceremonies over the next few weeks – whether the film/filmmakers win or not. Much of the discourse focuses on the fact that McQueen is British and so are many of the leading players – Ejiofor, Fassbender, Cumberbatch. American opinion on this is divided as to whether it is a useful or presumptuous intervention. I think this tends to overshadow the excellent work by (African-American writer) John Ridley who adapted the original book. In the UK the film has prompted calls to have more cultural output covering the British responsibility for the triangular trade that depended on slavery. I’d support those calls, but also point out that there have been some films that deal with the British colonial experience of slavery. Someone might think about releasing a restored version of Pontecorvo’s Queimada (Italy 1969) in the UK – not a film about slavery itself, but a useful discourse about the political and economic importance of slavery in the Caribbean. One of McQueen’s achievements in 12 Years a Slave is to show the routines of the slave plantation and to emphasise its importance in agriculture and the Southern economy in which slaves are commodities, treated like livestock, but also as part of the social hierarchy of the South – something emphasised by the focus on the cruelty of Master Epps’ white wife who abuses Patsey, but whose own status is below that of the men. Much discussion has also focused on the arrogance of the slave-owners and their complete lack of guilt or unease about what they are doing to slaves. Some commentators have suggested that for contemporary audiences this is more shocking than the actual brutality meted out to the slaves. This needs to be explored further. I’m shocked that audiences wouldn’t already know about this lack of guilt. Watching the film, I thought about the ‘banality of evil’ explored in Hannah Arendt. After the screening I discussed with my colleague why there weren’t more slave revolts in the South. In fact there were many small revolts and three major uprisings, but nothing sustained along the lines of the Haitian and Jamaican rebellions. I think that is down to the stronger institutional roots of slavery in North America where the slaveowners identified themselves as ‘Americans’ rather than settlers or colonists with a different relationship to their ownership of land. There are several scenes in the latter half of 12 Years a Slave which very effectively bring home the process through which Solomon has to go in order to gain some control over his own situation – involving his sense of guilt, frustration, anger, need to survive – and crucially to understand the collective strengths and weaknesses of the slaves in a household. The matching scenes of hangings and floggings in front of the other slaves are the most obvious visual representations but the scene in which Solomon eventually begins to sing with the other slaves is very moving. Hans Zimmer’s score for the film is impressive. I also thought that Alfre Woodard’s role as the freed black woman who has married a slaveowner was important in detailing the complexity of the plantation communities. I can’t complete these notes without mentioning the stunning performance by Lupita Nyong’o as Patsey. We are going to hear a lot more from this young woman and I’ve added a link to a long interview with her on YouTube (on the same page there are interviews with other cast and crew from the film). I’m definitely going to watch the film again in the future. I hope it becomes a film that stays in the memory. Directed by Menelik Shabazz. 100 minutes, in colour and black and white. This film was screened at the National Media Museum in Bradford. And the audience were as much part of the event as the film. The film is a documentary about a less-well known music genre and the audience clearly included fans and aficionados. There was applause, even cheers, ‘oohs’ of recognition and frequent laughter. As a less-well informed observer I did not recognise all the tropes but it made for an entertaining and informative viewing. Before the film I was not even sure what constituted Lovers Rock, (there is a pretty good page on Wikipedia). It is a popular musical genre that grew out of reggae, soul, rhythm and blues and rock in the early 1970s: and it was pre-dominantly popular in Afro-Caribbean communities. You only have to listen once to know that it was a romantic genre. We had scenes of couples dancing and romancing to its mainly slow and alluring rhythms. It seems to have been influenced by the Sound system culture of South London: there is nearly always a strong bass line. Three entrepreneurs, Dennis Harris, John Kpiaye and Dennis Bovell, invented the actual title when they set up a new independent record label. I wouldn’t have known any titles or artists from the genre, but I remembered some of the songs when represented in the film. The genre offered opportunities in particular to women singers: performers like Carol Thompson and a young female trio Brown Sugar. Better-known successes include Louisa Marks with “Caught You in a Lie” in 1975, followed by Ginger Williams’ “Tenderness”: Janet Kay’s “Silly Games”, which reached number 2 in the UK Singles Chart in 1979: and in 1986 Boris Gardiner’s “I Wanna Wake Up With You”. Like much Black culture of the period Lovers Rock was marginalised. 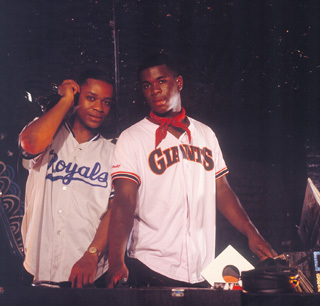 There were some telling recollections by both producers and artists about how the industry cold-shouldered this very popular music. Only a few of the titles made it into the official UK charts. I can remember back then that a friend used to join a Record company’s minibus of young people who toured record shops buying up a particular single in order to assist it up the charts. Presumably such drives missed out Afro-Caribbean south London. Shabazz’s film manages to combine a detailed and evocative picture of the music, its artists and its fans. He also laces it in both the wider music and social cultures: the film includes footage of the resistance events of 1981. But the film is also very witty. There are some delightful recollections by fans of both the high and the low points of their Lovers Rock days. In particular, there is a recurring scene with two of the Afro-Caribbean All-Star Comics who provide a sort of Greek chorus to the unfolding story. The film ended with loud applause and a Q & A with the director: unfortunately I missed this, as I had to run for my train home. This was a shame because Menelik Shabazz is an important and long-time contributor to British film. The Museum’s event also included a rare screening of his 1981 feature, Burning an Illusion. This is one of the key black features of the decade: and Shabazz is able to combine a trenchant portrait of the experiences of the black communities with a sensitive depiction of individual relations. Depressingly the screening relied on a DVD because there is not a 35mm print in good condition available. Menelik Shabazz is currently trying to develop a distribution for the film. When [hopefully] it arrives near you go and see it. The first black British feature Pressure preceded this by five years and there aren’t, nearly 30 years later, many other black British films (I can think of Babymother, 1998); Babylon is, institutionally, a white film but deals brilliantly (I guess) with the young black experience of the 1970s. The ’70s was not a good decade and the endemic racism is presented vividly; it probably seems another, bigoted and ignorant, world now but we must not be complacent: the Met, for example, seems to have learned little after Stephen Lawrence. Focusing on Brynsley Forde’s character (he was the lead singer of Aswad), a young man trying to find his way in a hostile world, the grim South London streets form the backdrop to a tragic ‘coming of age’ narrative. The music’s great as is Chris Menges’ cinematography that looks superb in the DVD transfer. Babymother is one of the few Black British films to receive a UK release of any kind since the 1980s, but even so, it is likely to be better known abroad where it was shown in festivals. In the UK it received only a very limited distribution and has been seen mainly on Channel 4 television. The first TV airings showed cropped images from what is a widescreen (CinemaScope) film musical (which bizarrely links it to the early Cliff Richard ‘Scope musicals such as The Young Ones (1961). 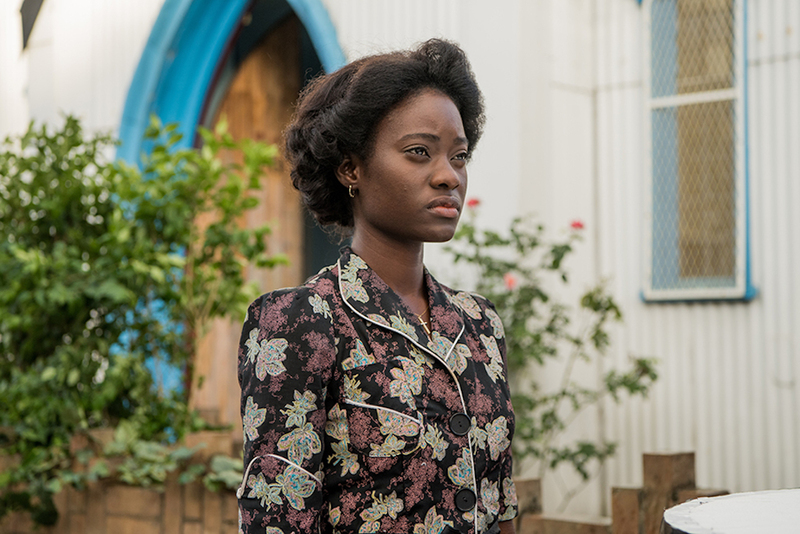 The film represents a conscious attempt to avoid the typical ‘burden of representation’ that sits heavily on Black British films – it isn’t concerned with the ‘problems of life in the inner city associated with racism and deprivation’. Instead it celebrates one aspect of Jamaican life in London – ‘dancehall’, with its distinctive musical style and dramatic costumes. A Jamaican film, Dancehall Queen (made on digital video by the legendary Don Letts) was released in the UK in 1997 and did good business in South London. This may have influenced Babymother’s writer-director Julian Henriques. Some critics have also suggested that Babymother may owe something to the look and feel of Bollywood. Henriques himself speaks about the long tradition of specifically Jamaican culture including the links to the Saturday night ‘blues’ party which often carried over into Sunday church. The film is set in Harlesden, the western part of the London Borough of Brent, arguably an area of London that has been defined through successive generations of new communities – Irish, African Caribbean and Asian. The plot sees a young single mother (the ‘babymother’) – Anita, a beautiful talented singer who has not found the confidence to assert herself in the dancehall culture, especially when she has felt herself in the shadow of the ‘babyfather’, Byron, played by Wil Johnson (now a leading UK TV actor). But when Byron steals one of her lyrics, she finally decides to take him on in the competitive arena of the dancehall. The film plays this narrative from the musical (which sees characters bursting into song as in the classical musical as well as in the dancehall) against a more familiar family melodrama about Anita’s mother and older sister. This has an interesting twist. A full synopsis and commentary is available on Screenonline. Though the Screenonline account is accurate, I don’t think it quite picks up the unique qualities of the film. Certainly this is a film to divide audiences. If you are expecting the usual ‘social realist’ drama about inner-city London, you’ll be disappointed. But if you like the idea of a vibrant musical with some reality thrown in, I think it works. If you don’t know about dancehall, it is extremely colourful with the performers wearing outlandish costumes (a bit like the carnival costumes seen at Notting Hill or other Caribbean carnival events). It is a completely Black musical, with no white characters as such. Screenonline suggests that this is a weakness, but it seems fine to me. A TV series called Babyfather appeared in 2001. There was no direct connection between the film and the series which both focus on the concept of single parents, but Wil Johnson also appeared in the first episode of the TV series. Julian Henriques was born in Yorkshire. He studied psychology at Bristol University and worked as a lecturer, policy researcher, and journalist before becoming a television researcher. In the 1970s, he started the journal Ideology and Consciousness (later I and C) with a group of young psychologists and social theorists. Their aim was to bring together critical work in psychology with work on the subject and subjectivity coming out of European social theory (structuralism, post-structuralism and psychoanalysis), as well as continental feminism. He has made documentaries for LWT, the BBC and with his own production company for Channel Four. We the Ragamuffin (1992) was his first narrative short film, Babymother his first feature film. Henriques taught film and television at the University of the West Indies, Mona, Jamaica, and currently works at Goldsmiths College, University of London. Here is his staff page at Goldsmiths. Amazon shows that there are still some copies of the Film Four DVD available. Young Soul Rebels (YSR) is an ambitious attempt to make a statement about an African-Caribbean-Briton’s role in society at the time of the Queen’s Jubilee in 1977, in the framework of a whodunit thriller. The central characters, the DJs Chris and Caz, run a pirate radio playing funk and soul music, in contrast to the white rebel’s music of choice at the time, punk rock. Chris has ambitions to break into mainstream radio but finds he’s too ‘black’. Chris is gay and the film opens with their friend, TJ, being murdered in a park where gay men meet. It’s a thriller that considers what it meant to be gay and black before Britain recognised itself (as far as it actually does) as a multicultural society (and the position of women) all on a low budget British Film Institute (BFI) production. 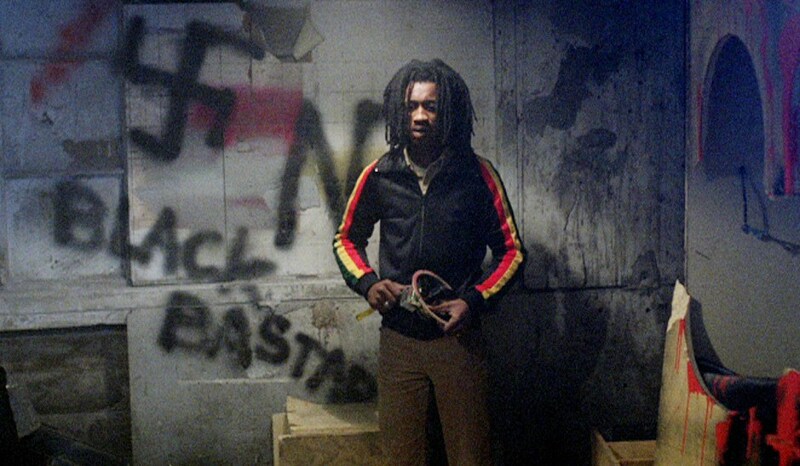 Although 1970s Britain was deeply racist, it was the decade when debates about radical politics and identity were common, in academia at least, and Isaac Julien, who directed YSR, was one of the founder members of the radical Sankofa collective (which was one of the co-producers of the film). Channel Four Films was also involved in the production, and the film exemplifies the channel’s commitment, in its early years, to minority groups. One thing that hasn’t changed since YSR was made, is the dearth of films by black British filmmakers. The BFI has retreated from its cultural remit and no longer supports production, leaving that to the market-orientated UK Film Council, and has even hived off its book list to Palgrave Macmillan. Gurinder Chadha was another ‘ethnic-minority filmmaker’ to have benefited from BFI support with her short I’m British but . . . (1990). The October (2008) edition of Sight and Sound listed 12 ‘vital’ productions supported by the BFI Production Board: The Bill Douglas Trilogy (My Childhood, 1972, My Ain Folk, 1973, and My Way Home, 1978); Pressure (1975); Radio On (1978); Burning An Illusion (1981); The Draughtsman’s Contract (1982); The Gold Diggers (1983); Caravaggio (1986); Distant Voices, Still Lives (1988); London (1994); Under the Skin (1997). Although the BFI managed to survive the philistine onslaught of Thatcherism, it’s clear that Blairite politics’ embrace of the market has destroyed meaningful state support for alternative voices in cinema. It is important that all minority voices have the opportunity to speak about their lives and the medium of film offers the possibility of a long shelf life on DVD (unlike ‘minority’ television) and even distribution worldwide, on the festival circuit at least. For many reasons, then, YSR is an important film however although I enjoyed it when I first saw it (probably on Channel 4) a couple of years after it was released it now looks to be a worthy but inept film. 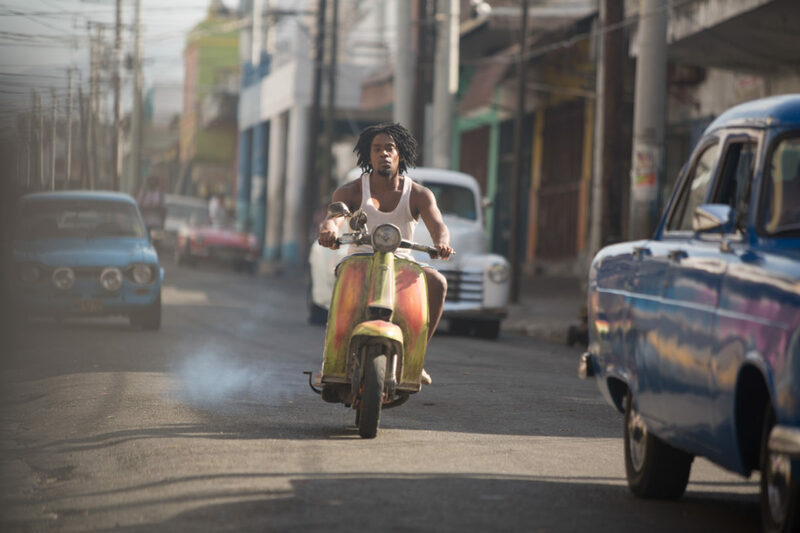 There are two central problems: the performances of the lead characters, Mo Sesay and Sophie Okonedo excepted, and the film’s failure to integrate the generic elements with the political project. The unconvincing performances are partly due to the cliché-ridden script where lines pop into your head just before characters speak them. Every time the ‘thriller’ narrative comes to the fore, ‘sinister’ music appears as if ‘on tap’. Some of the film is so bad that I wondered whether it was an example of Brechtian distanciation, but there’s no indication that this was intended. The use of contemporary music, however, is very successful ranging from Funkadelic’s One Nation Under the Groove, Culture’s When the Two Sevens Clash and X-Ray Spex’s Identify. They help evoke the era that is very successfully recreated by costume, location and the Jubilee celebrations. The ‘staging’ is, on occasions excellent, such as the neo-fascist riot at the climactic concert; however this is immediately followed by the risible death of the villain who somehow manages to pull himself into a fire-filled hole in the stage. Julien’s previous film was Looking for Langston (UK, 1988) an ambitious ‘performative’ documentary about Langston Hughes. His subsequent career suggests he’s more comfortable working on the artistic margins. However, it is an indictment of British film culture that we don’t have a number of films that address questions about British identity, black or otherwise. October is ‘Black History Month’ in the UK. It’s a celebration of the importance of Africa and its peoples and diaspora around the world. The US has a month in February, but in the UK, October became established after an initiative by the late (and very lamented in these parts) Greater London Council in the 1980s. You can find out more at the Black History Month website. Having noticed the celebrations over the last few years, which now occur not only in London but across the UK, we decided to celebrate the month by focusing on some of the films from Africa, North America and Europe that deal with African culture and diaspora culture. We are compiling lists of interesting films and also intending to review one or two significant titles. To kick off, we’d like to celebrate the latest film to receive the restoration treatment organised by the Martin Scorsese-backed World Cinema Foundation. This was announced at Cannes in May and a further news item appeared in the Observer today highlighting a screening at the London Film Festival. 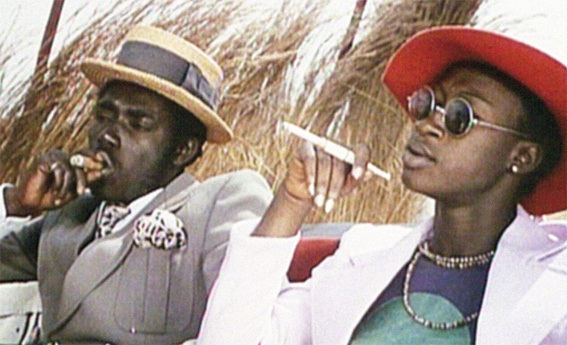 The film in question is Touki Bouki, directed in Senegal in 1973 by Djibril Diop Mambéty. Djibril left his country with the dream of finding success and solace in Europe. He soon discovered, however, the cruelty of life. While his dream fell apart little by little Djibril found he was unable to leave “Europe”, his host country. That was when returning to Africa became the real dream for him. Ending his days in Africa was a dream he would never fulfill. Touki Bouki is a prophetic film. Its portrayal of 1973 Senegalese society is not too different from today’s reality. Hundreds of young Africans die every day at the Strait of Gibraltar trying to reach Europe (Melilla and Ceuta). Who has never heard of that before? All their hardships find their voice in Djibril’s film: the young nomads who think they can cross the desert ocean and find their own lucky star and happiness but are disappointed by the human cruelty they encounter. Touki Bouki is a beautiful, upsetting and unexpected film that makes us question ourselves. The restoration has involved a digital process to recover the colour range of the original. This is at the 2K international standard and a 35 mm interneg has been produced at the end of the process. The restoration was carried out by Cineteca di Bologna at L’Immagine Ritrovata Laboratory. It sounds wonderful, so if you get the chance, check out the LFF. The film screens at 18.30 on 24 October. Now there is a new UK DVD from Icon Home Entertainment. In 1980 the film was rated ‘X’, now it is a ’15’. If the film is not directed or written by a Black filmmaker, does that invalidate its status as a film to be celebrated as part of Black History Month? I don’t think so – my memory is of a film that felt authentic for the streets of London in 1980 and an important assertion of Black British culture. I’m looking forward to watching it again. There’s a useful Guardian plug for the film here, commenting on director Franco Rosso’s pedigree as a filmmaker representing the UK reggae scene on film.